Mothercare has launched a new brand proposition called ‘Welcome to the Club’ as it looks to build a business with a community at its heart. 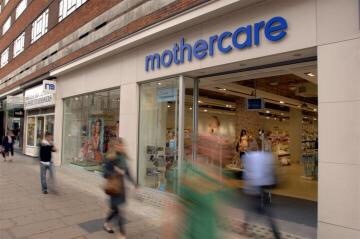 The retailer said ‘Welcome to the Club’ underpins the Mothercare brand proposition which aims to connect new parents and build supportive networks for them. These include in-store new mother meet-ups, expectant parent events, shared digital content, blogs and online communities. Point-of-sale assets will promote services such as car seat fitting, personal shopping, and payment plans. In addition, new creative will be rolled out across all channels including till and e-receipts, selected product packaging, in-store signage, website design and content, and customer emails. The proposition is also being adopted internally to bring to life the values and behaviours of ‘Welcome to the Club’ with training for store, customer and web staff as well as a new digital employee handbook. The launch of the new proposition follows a nationwide store refurbishment and upgrade programme as well as a transformation of Mothercare’s digital channels. Gary Kibble, global brand and marketing director at Mothercare, said: “’Welcome to the club’ is much more than just a new strapline for Mothercare; it will serve as a catalyst for change in our business.